Oh man! This may be one of those topics that may cause me to get on my soap box. When I go to church, my thought isn’t on much other than going to church and listening to the Word of God. We sing songs to the Lord and we praise God. Nothing else should be more important than Worshiping God! But that isn’t always the case for so many. It drives me bonkers that people complain about the stupidest things and forget why we are at church to begin with. Now, granted my mind can get distracted and I have my moments. But why is it that some people can’t just go to church and worship God? If they are paying attention to all the other distractions and minor things that have nothing to do with praising God, then they are not at church for the right reason. I think they should re-evaluate why they are going to church! I have had many times when I would complain about the music, the organ which I can’t stand and other things. Then one day I guess it was God saying that I wasn’t there to worry about the stupid things that get in the way of learning more about Him. I was there for Him. And since I’m not big into the old-time hymns and love contemporary praise and worship music, I guess that kinda set wrong with me at first. Besides if I want to listen to my style of music I have the rest of the week and for an hour or so on Sundays, I can pay attention to why I really am at church. I guess what I think is that we are very blessed to be able to worship God in a way that others can’t. Some of the missionaries our church sponsors have to hide because they will be killed. Some are living in areas that have never seen missionaries and have very little. The church they go to have no air, no doors and only a roof made of tree’s. And what get’s me is that they don’t complain about what they don’t have or if things aren’t just right. They are happy to worship God no matter where they are at. 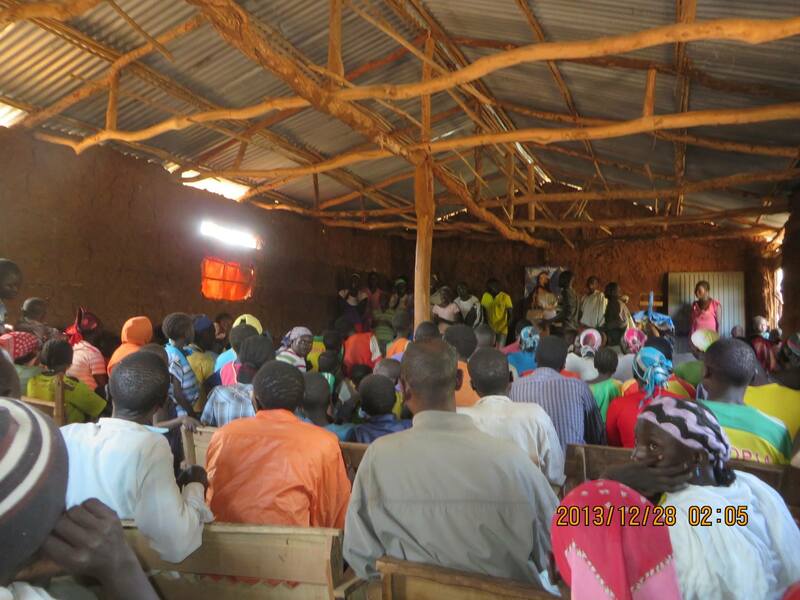 I wonder how many would stop going to church here in the states if they had to go to church like the Fowlers with Christian Missionary Fellowship do in Ethiopia! Why we should go to church. When we go to church faithfully, we are witnessing to others. Call me wrong or off base, but it seems to me that there are a lot of reasons to be going to church that are much more important that the trivial things that we focus on. I don’t care about what color the walls are or if there is a light coming through a window. If there is a light, maybe it is the light of God. So I say, go ahead and shine Your light. 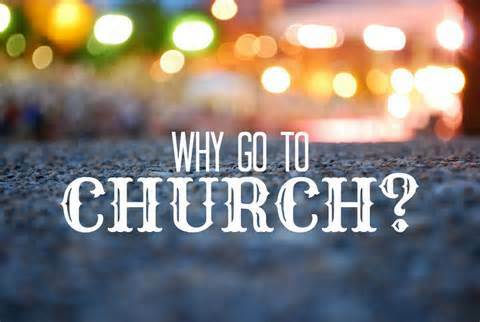 There are more reasons for going to church and why it is so important. The main reason to go to church is that God knew how important it would be for us. That is why He commanded us to go.